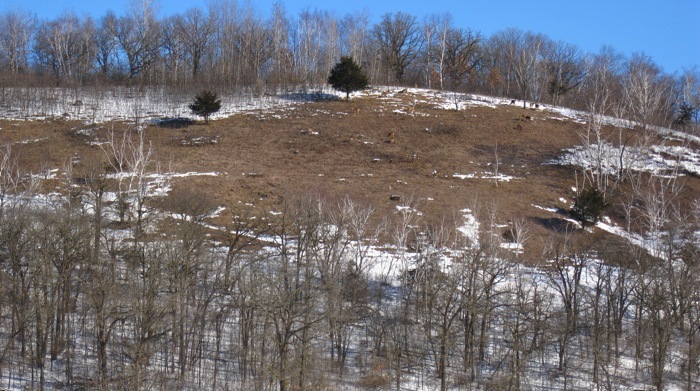 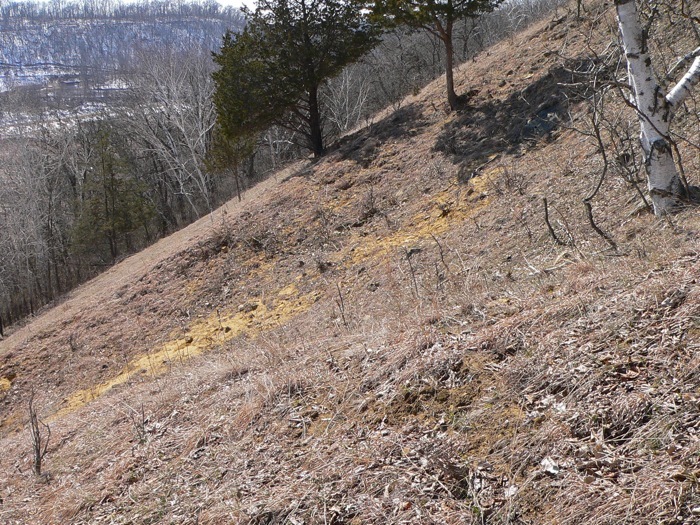 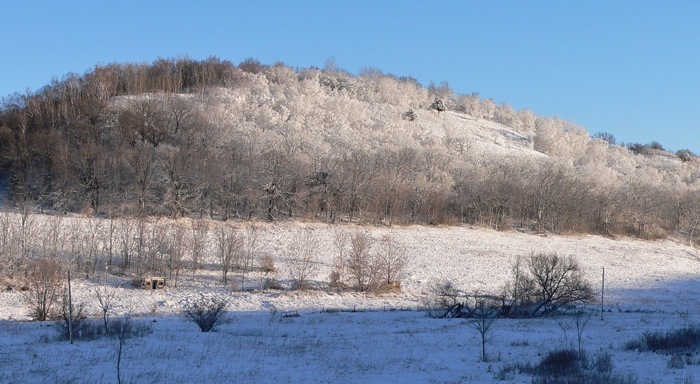 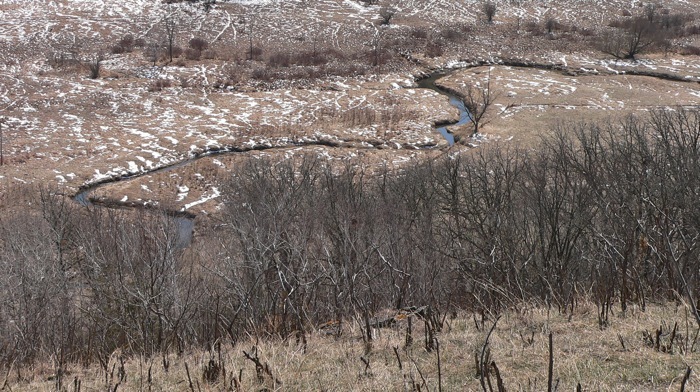 3/7/2007 – Deer browsing on the prairie – they like the steep south-facing sides of the hills because the snow disappears there first, so it’s easier to find food. 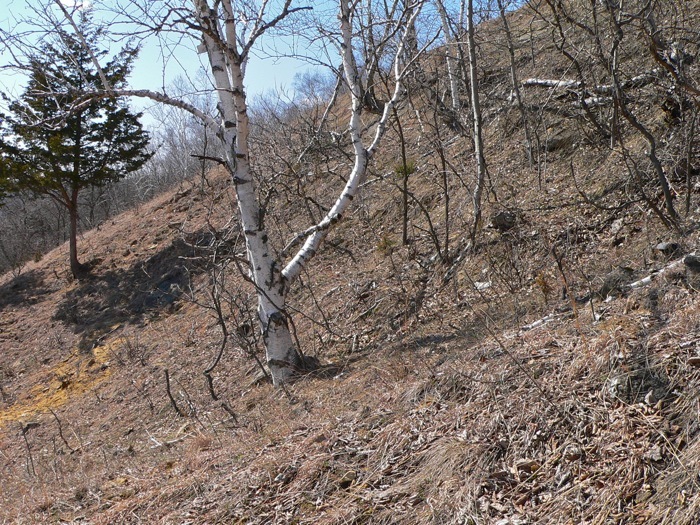 4/13/2007 – There are small birches and aspens, and some brush, above the sandy area. 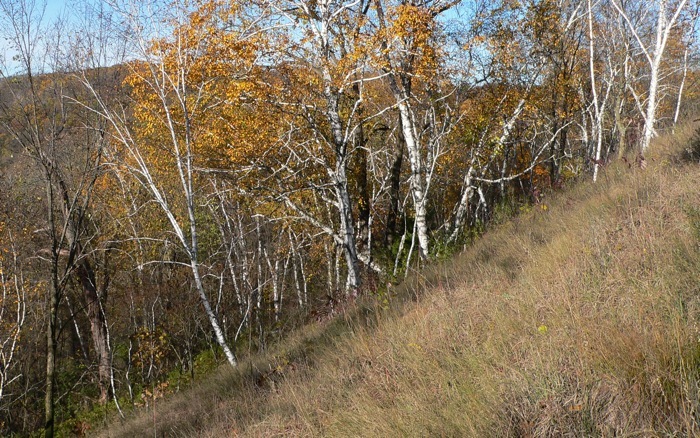 5/11/2007 – There was a big fire in the Boundary Waters – in northern Minnesota – and the wind brought the smoke all the way to western Wisconsin. 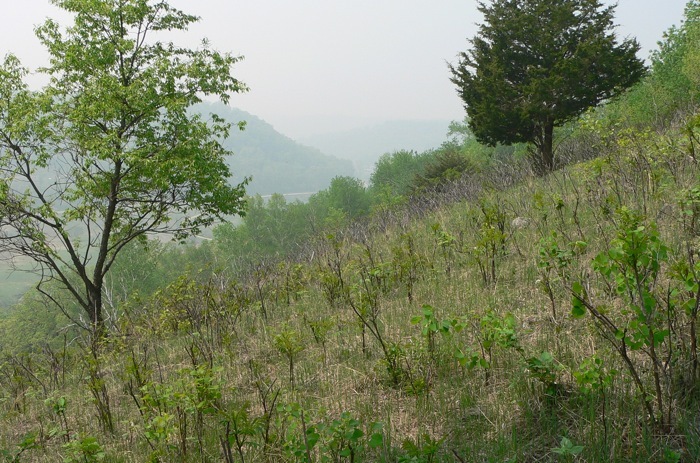 5/7/2007 – Arlene and I girdled all the aspens on the steep hill below Sumac Corner Prairie. 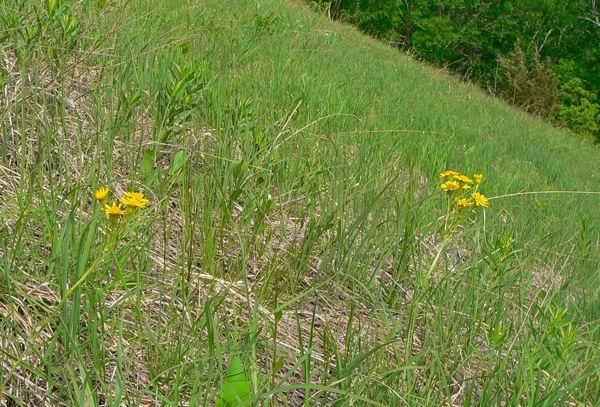 They’re fairly small ones, but there are a lot of them, so it should make a big difference when they’re gone. 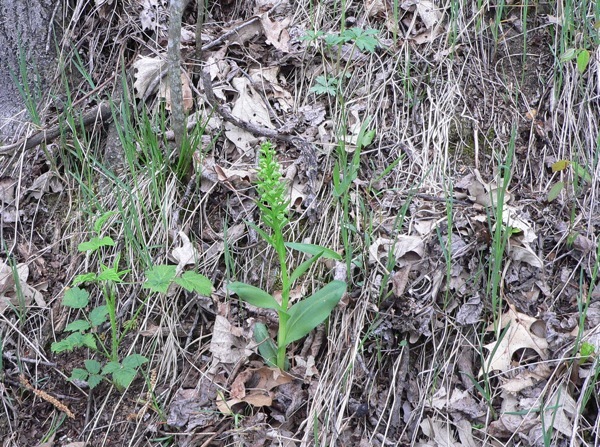 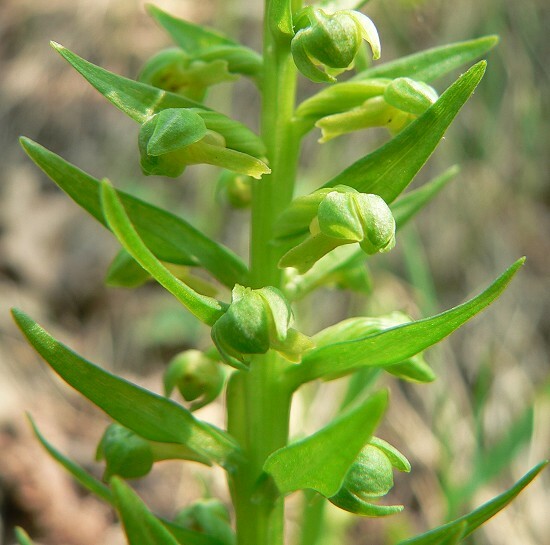 We found an orchid – the first time I had found this species – growing on the hillside under the trees. 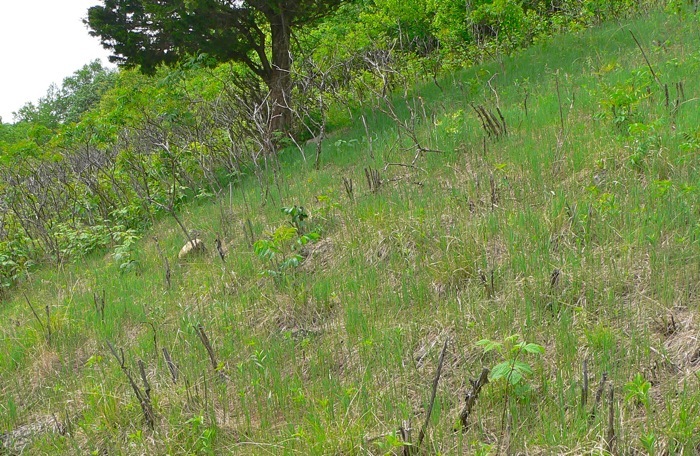 5/20/2007 – This is the area I worked on clearing last fall – there are a few sumacs and raspberries coming back, but it’s much more open than before. 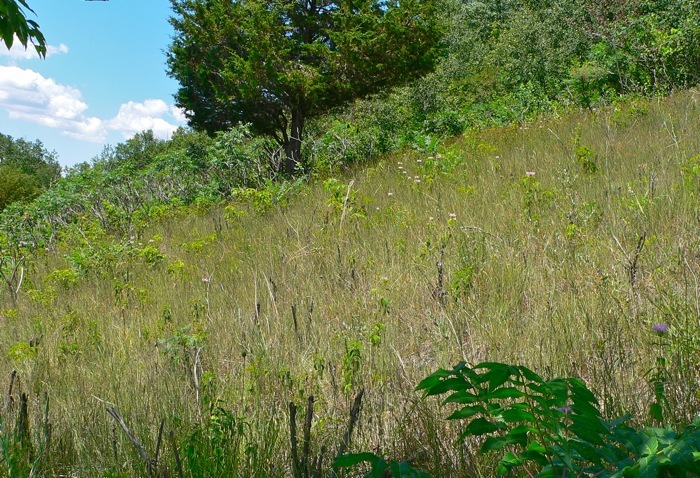 10/20/2007 – Looking west from the prairie into an overgrown savanna on the hillside.